Here at Reigate Priory Bowmen, we welcome new members, from those fresh off a beginner’s course, to experienced archers. Both adults and juniors (aged 10-17) are welcome! All RPB members must have completed and passed a beginner’s course prior to applying for membership. If you have never shot a bow before, or are yet to have completed a beginner’s course, please refer to our ‘Courses’ page. Experienced archers wishing to join us are more than welcome. 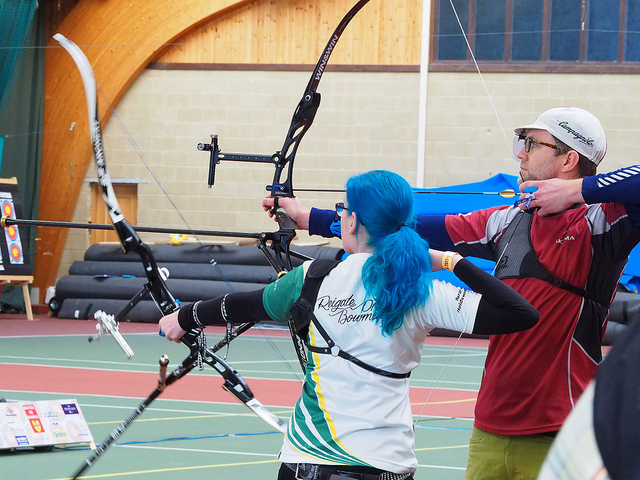 All members must be affiliated to Archery GB. You can choose to affiliate through us, or if you’re already affiliated through another AGB club, you’d be very welcome to join us as an associate member. For more information about how to join, please contact us.